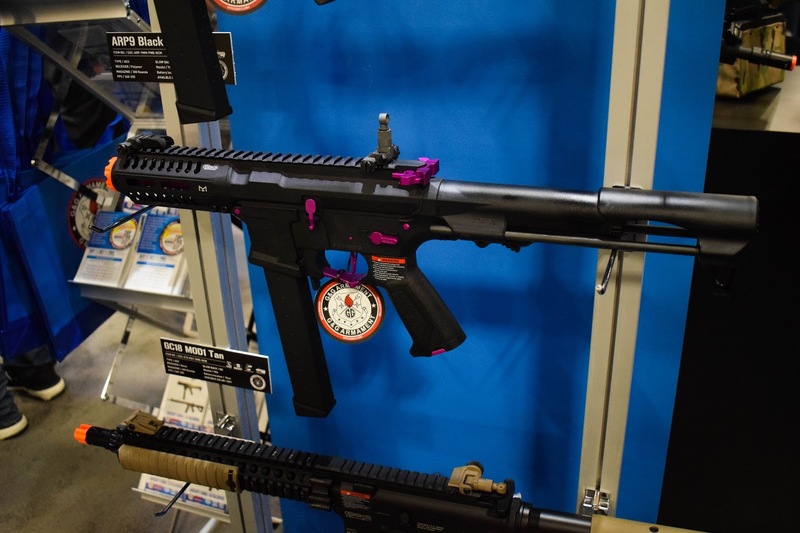 I'm back with another post from SHOT Show 2018 and today I'm going to give you the rundown on what caught my eye from G&G Armament! 2018 is set to be a huge year for G&G - they have a whole catalogue of new products being released, but as it would take a while to tell you about EVERY new product, I'm going to show you what I believe will be the ones to look out for! First up is the CM16 LMG. 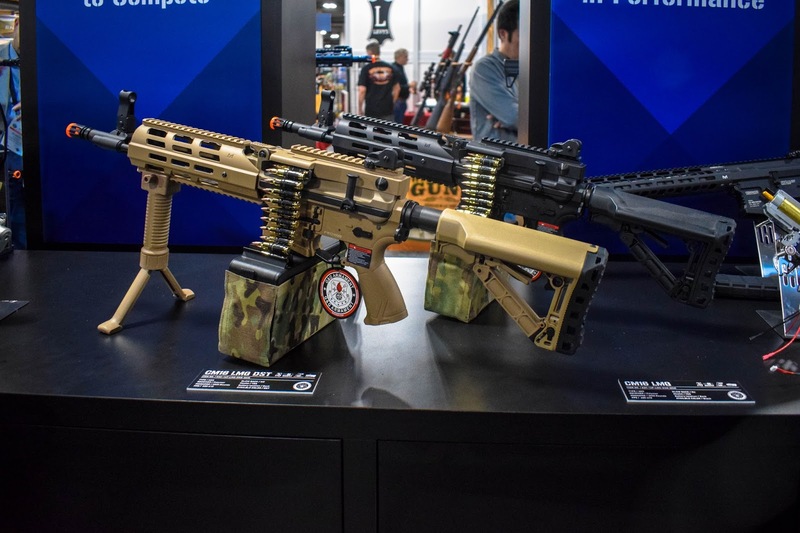 That's right, G&G are releasing their very own AEG LMG. It is going to be available in two colourways - tan and black, to make it lightweight it will feature a polymer upper and lower receiver and internally it will have a MOSFET and an electronic trigger unit. 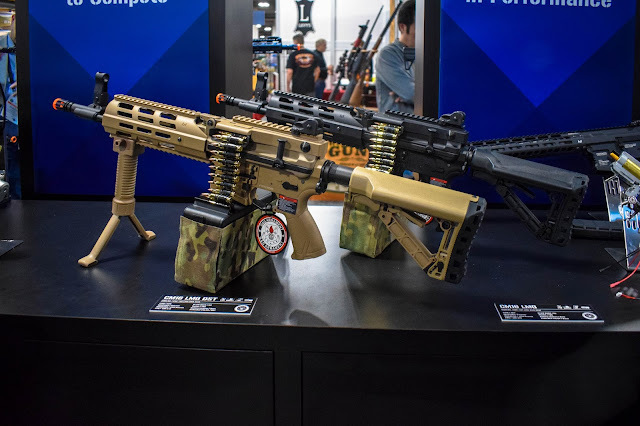 What I am really impressed with regarding the new CM16 LMG is that it will come with a 2500 rd box mag, flip-up iron sights, a bipod AND dummy rounds already in the box so it'll look badass straight out of the box! The retail price is looking to be under $300 so I think this will be a big hit amongst airsofters looking for an affordable, lightweight LMG! Another favourite of mine from SHOT Show 2018 are the new colourways for the ARP9 - last year G&G released the ARP in both the 556 and 9 mag variants and they were a big hit because of their compact form and awesome price point! This year we will be seeing the 9 variant in the new 'Black Orchid' and battleship grey colourways hitting the field! I didn't think the ARP9 could look any sexier, but G&G proved me wrong! Lastly, are the new pistols that I'm excited to see from G&G - the new 1911 series and the GTP9! The new 1911 series from G&G Armament is a collection of 3 x 1911 pistols that all have slightly varied styling - the GPM1911 with a metal receiver and the classic wood finish inspired grips and the GPM1911 CP and GPM1911-P which will both feature a plastic receiver. Now usually I'm more of a Glock style girl but the look of the new pistols is so great that I am stoked to see how they perform on the field. 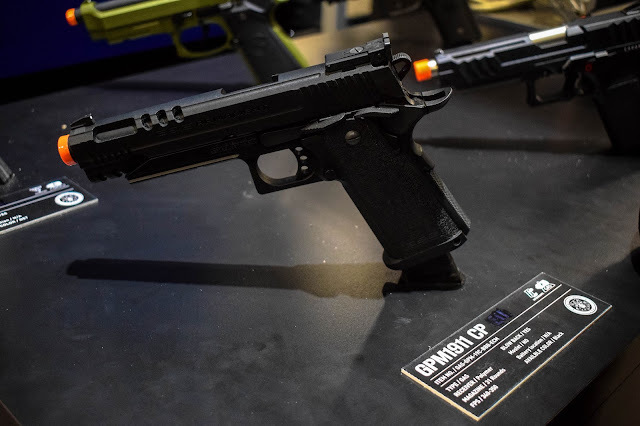 The new GTP 9 is a new GBB pistol from G&G that features a pretty nifty way of changing the hop up! It has a tool that is built into the pistol and can simply be removed and inserted into the barrel where it can be turned to change the hop up. 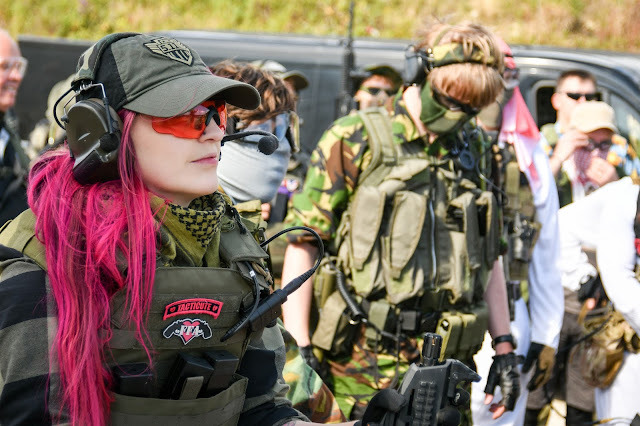 I'm really looking forward to the G&G CM16 LMG, I have a CM16 Predator as my primary, but the iron sights are too low to use when wearing goggles. The LMG looks like the sights will be higher up which will make it more useful for me. I'm expecting this to be between £250-300 once they are available in the UK.